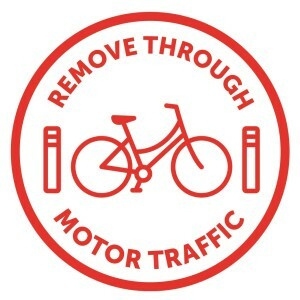 One of the Space for Cycling principals is the removal of through traffic. 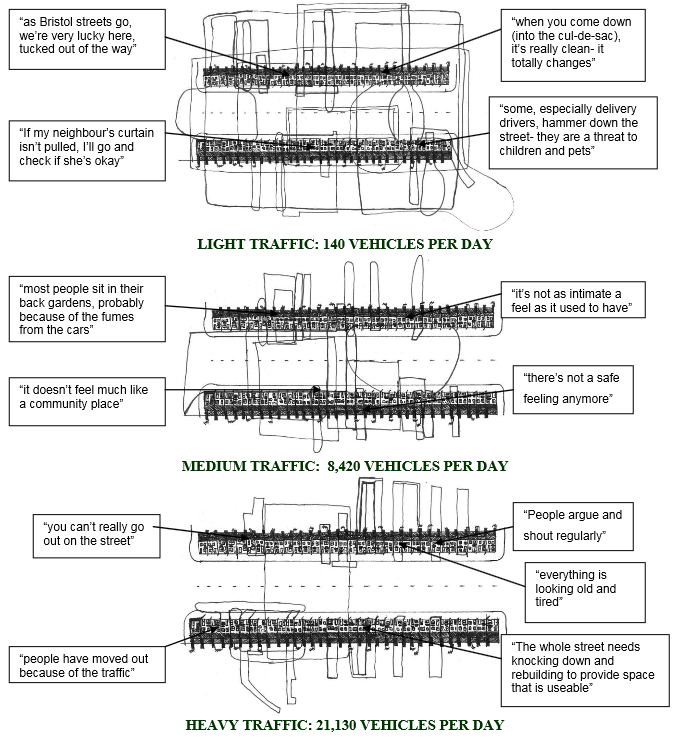 This is really important, research has shown that our communities suffer when their roads are used by high volume motor traffic. When we talk about ‘Livable Streets’, this phrase was originally coined by Donald Appleyard. His work is summarised in this great video from StreetFilms. 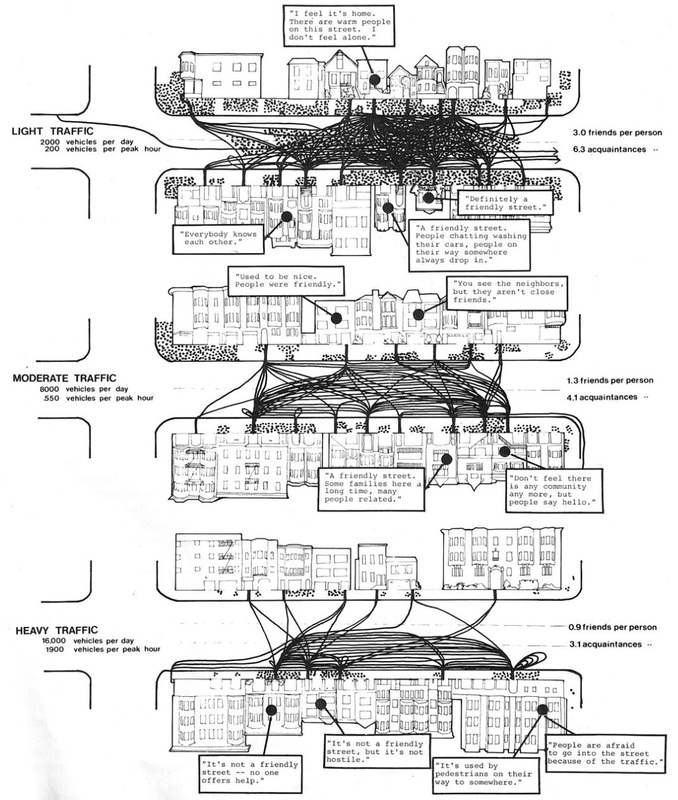 Appleyard‟s (1969) diagram of intra-street social connections. Lines represent specific social connections whilst dots identify where people were reported to gather. The results confirmed that Appleyard’s findings are applicable to the UK in the 21st century; specifically that the number of friends and acquaintances reported by residents was significantly lower on streets with higher volumes of motor traffic. The extent of people’s home territories‟ also diminished as motor traffic increased. 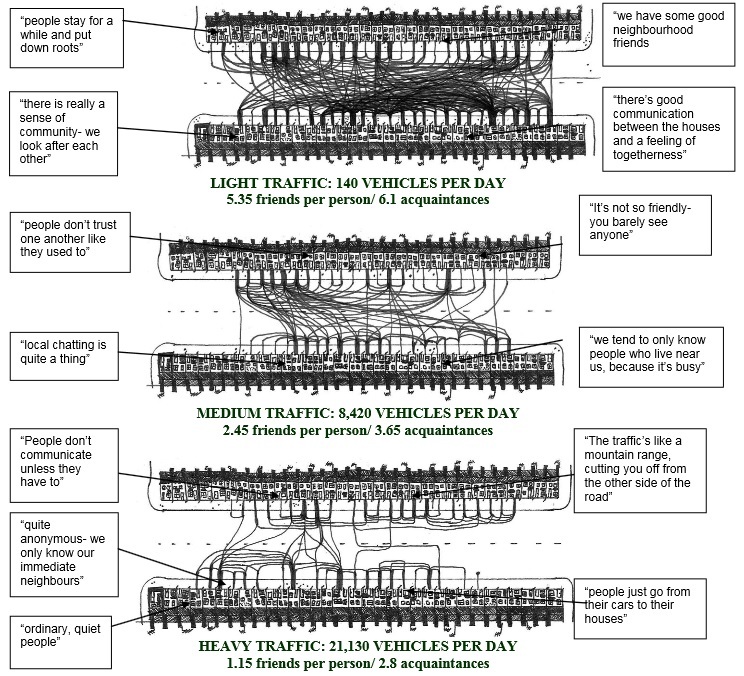 They produced similar community interaction maps and the results are strikingly similar. These two studies are linked below If you’d like to read them. 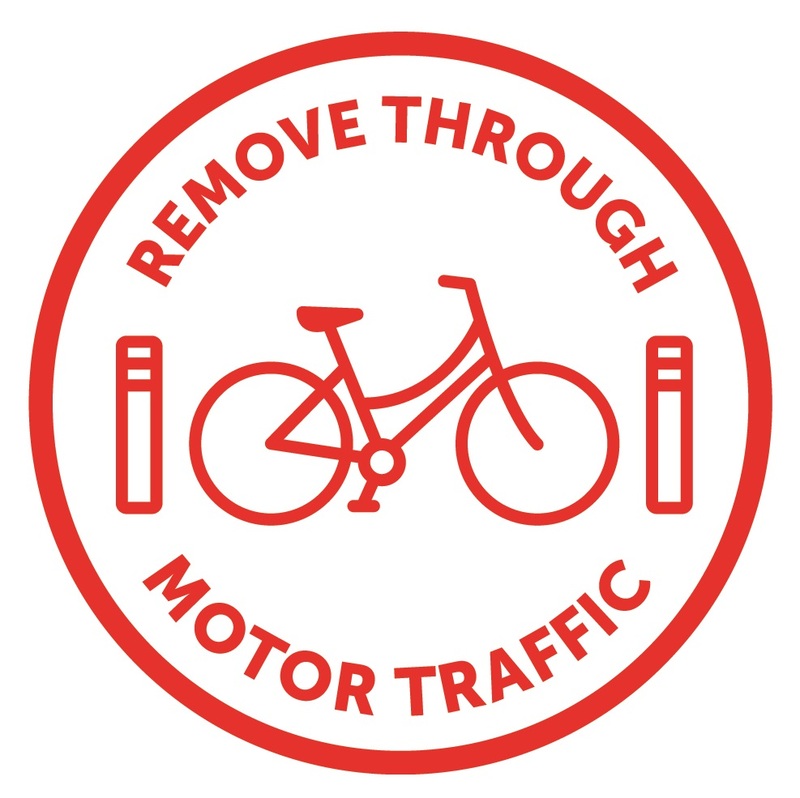 This entry was posted in #space4cycling, Space for cycling on February 16, 2015 by Matt.